"It started with me wanting to do something really new." Michiel van der Kley, the Tilburg based product designer agreed to give us an interview. Michiel has received many accolades for his work designing office furniture, but found himself wanting to step away from the lime-light, and seeking something more true to himself. In his journey of self-discovery, he eventually found himself at the doors of 3D printing. In his own words, "it was a design language that I could really understand". Along that journey Michiel has come up with ProjectEGG. 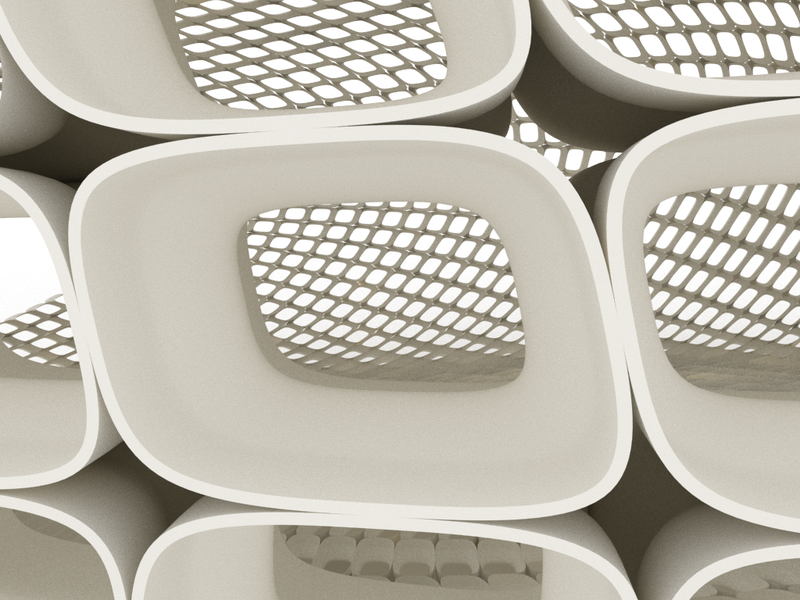 ProjectEGG is a 3D printed space to be made up of 4760 'stones'. Each stone is individually designed by Michiel, however rather than have a traditional manufacturing process - in this case outsourcing to a 3D printing bureau; he took a different route. Anybody can adopt a 'stone', which will be printed by Michiel in his studio, alternatively people are sent the .stl files and the basic instructions to print their own stone with their own unique features. 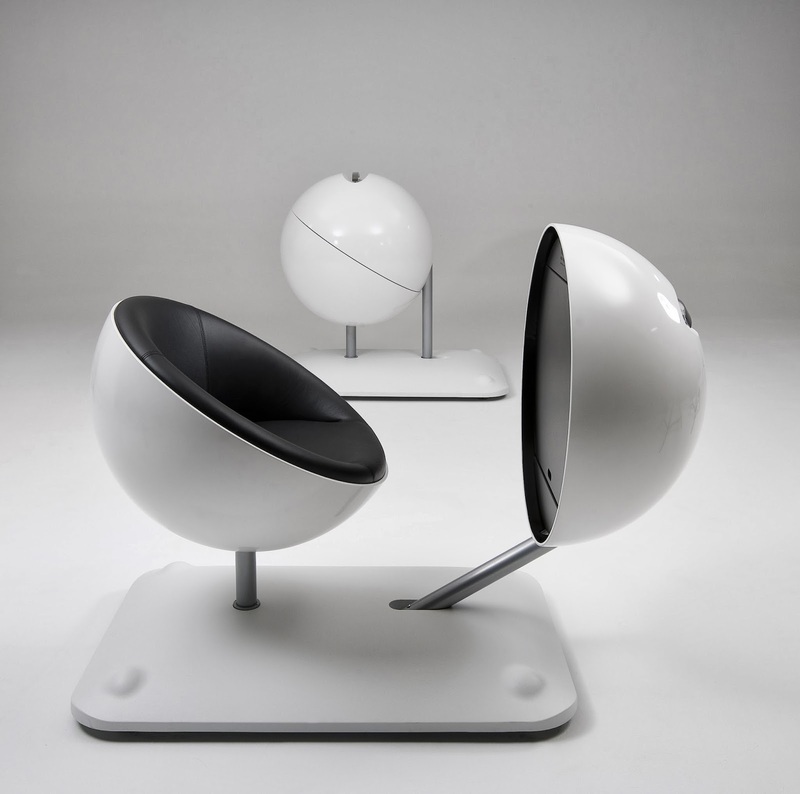 ProjectEGG is to receive its debut at the Milan Furniture Fair in April 2014. It will then take a tour around the world. The use of 3D printing in construction, and how it can revolutionise logistics, is of interest to many stake-holders, and it's also excited us at #3DPM. #3DPM's founders have been advocating using 3D printing to generate skills and to revolutionise every aspects of our lives. Michiel's vision realised via the new language of 3D printed design, direct to the people that want the design; is exactly the democratising change we want to inculcate into our workshop and education programmes. Together #3DPM and ProjectEGG are working towards furthering our mutual aims. #3DPM in collaboration with BCP Labs, are working with ProjectEGG to collect all the U.K. printed stones, in time for Michiel to pick them up and give a talk through us in February 2014. More details for this will follow into the early part of 2014. In this inaugural end of year interview for #3DPM, Michiel van der Kley talks to us about ProjectEGG, where his design inspirations have come from, and the work process that he's had to go through in order to realise his creation - "to give birth to ProjectEGG". "I was afraid of taking up an invitation to talk at a school, I didn't think they'd enjoy it. I am now not afraid after your workshop experience, I think they'd gain from it. I have three sons, and they're not afraid of this (3D printing) at all. I'm of a generation that just wants a book that tells us what to do, kids aren't scared and they just go for it...."
Originally I wanted to be a history teacher, and thats actually the only qualification I have. I was teaching, and the kids didn't really get it. The kids thought "the old people are dead, why should be go on about it?". I thought what I needed to do was connect the kids with how people in the past would talk about their future, so I looked for poetry, architecture, furniture, music. I came across the 'Hill House' chair by (Charles Rennie) Mackintosh, and I was fooled! It said 1906, and I thought that's a misprint, it should be 1966. How come there were chairs that I don't know about? So I went back to school and showed them (the kids) the relationship between the past and the future, but I got stuck with the chairs. I went into a furniture shop and it would be the same as any other shop, and I was shocked when I saw a lot of rubbish; and I thought fine I'll do it myself. Then I got lucky, and a year after that, a gallery/art space wanted to sell my furniture. I showed off my stuff, and it sold really well. I then decided to leave teaching behind, and I decided to do it all myself; but I found I'm not good at selling things. For the next five years everything went through commercial distribution. It started with all kinds of furniture, I've done beds, chairs, then I got known for certain kinds of furniture, like the Globus chair, that really made me known around the world. People said it was too expensive, too silly, but then all of a sudden it was world-famous. ...after a break, into 3D printing, then into the egg? For about five years I was at the top of being a 'rock-star' designer, but the lifestyle wasn't my cup of tea, and I wanted to find something really new. I thought even if I could design the nicest couch you've ever seen, it's still a couch that'll simply replace another lovely couch. I thought I'd like to do something really new. I think like a history teacher sometimes, and I thought of this, over the ages there's been a shared language. It's always been driven by some means of production. In the past they learnt how to bend wood using water, and it gave us chairs that are world famous now, but they simply weren't there in history before. Now we see that with the tube chairs or cantilever chairs, and then we see in the fifties and sixties when plastics arrived - so what was the material of today? So there are new materials, but they don't really add up to a new language. Well we had the computer, so I said I wanted to do something in this new language. Then I saw 3D printing, and I got really excited. I could see that we had this new technology, and if you don't mind me saying so, most people were producing the same stuff we've seen before? 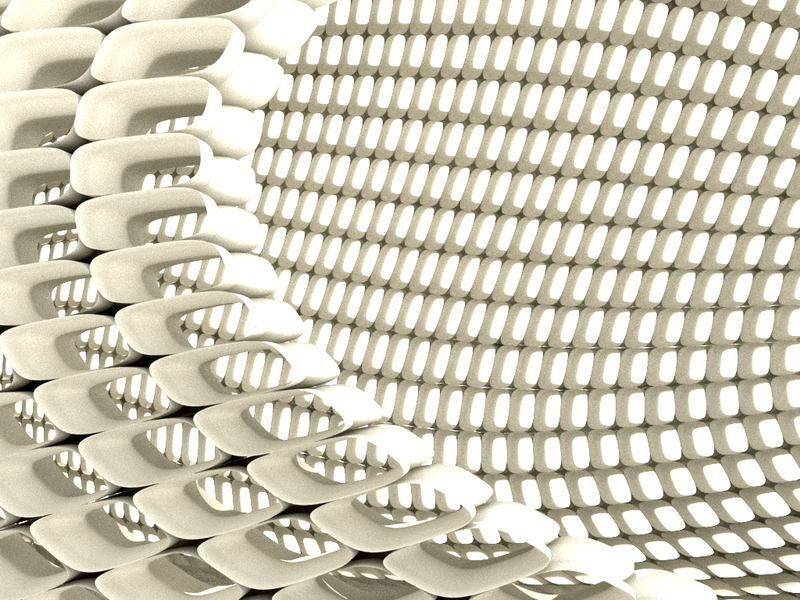 Nothing new, and not really using this technology to create a new language from 3D printing. I didn't know what it would be be, so I took a year off or two, and I tried to find out the limitations. I tried the old way, and I designed something and went to a shop and asked them to print it for me, but thats the old way. I bought one, and I said the same as everyone else, "yes you can print anything!" - it's not true. Printing is not just pressing a button, and waiting - you have to adapt and improve your skills. I designed something without knowing what it was. I just made structures that I liked. If it didn't work, I improved the model to make it better to print, and I tweaked it not knowing what it (the printer) would produce. Was the printer in the shop different from the one you purchased? Yes they used powder. They didn't have to deal with gravity as much as we do with FDM (FFF). I just thought we could do anything (back then), but it all (horizontals and bridges) dropped. Then speaking to the printer manufacturers, they said you needed supports, then tried to to find the methods, then I got it, then the supports were rock solid, making any model unusable! This was the 'old days', I'm saying the 'old days', it was only two years ago. Then, there was new technology, new software, and things are (now) much better. I wanted something in the end that could be printed in an easy manner, but still have the features I wanted. There was a morning when I was sat in the sun with a product of mine, it was like a farce. I was trying to attach a structure to it, and then trying to find out if the structure could be the object itself. I thought O.K., I would try and think of something that could be as large as a person, large as I could make it. That was the start of the idea I am working on now. One of the limitations of the printer is it's size, so I thought I'd see it as an advantage. I'd try and find a language that relates to be only able to print small parts. I've always been inspired by many esoteric things, so it came from there. The preliminary design was an open stone, which I then had to find out if it was strong - I'm a designer, not an engineer. I got help from an engineer who analyse it using a programme. It made me laugh actually, she had worked on it for three days. She should have just said that you could use the design, but she said "the building will bend through 4.9 millimetres". I said "centimetres", she was still in shock and replied "no, millimetres" - so I was fine with that! ..it is structurally sound, so can you tell us what impact 3D printing has had on your design thought processes? I was actually just thinking about that before this interview. When you design, you still have to relate to the production methods. Now I can think in a different way. Now I just think, "how do I print this?". I can now just do it straight away, I don't allow others to prototype. I mean people can open shops of their own stuff, but I see it (people designing and building their own things) might happen more. In the 'old days', you had a design and you needed a public company to make it happen, and they filtered your creativity. Now I can reach out to my public, just like that. This is a big change. Another thing is, something I'm doing now, with the birth of desktop 3D printing. I can now just send the print to someone else's printer, and now I don't need a boat, a plane or a truck to send a whole made piece. In order to make it (the 3D printing revolution) work, this is what nees to happen, we can all think about changing the world. In history, the first cars looked like carriages without the horse. It took ten to twenty years to develop different design ideas. This will happen for 3D printed things. In 2008, they weren't ready for new furniture. So now this is what I want, to design something completely new. So when they asked me to print a chair, I said I don't want to do that. I wanted to do something new, like the 3D printed space. Then I can let other people decide what it is. What have you seen so far that you can't do with 3D printing? I've had problems with supports (supporting structures to aid prints), I don't like them much, I hated them. So I'd always have to ask myself do I need support structures? I now try to design something that uses the support structures as part of the object, so you're saying that it doesn't really need support structures as it's part of the object itself. Another limitation is the size (of the printer). Some people try to build large printers. In Italy there are 3D concrete printers to build houses. I decided to turn it (the size) into an advantage. Other limitations are the look. I really like the 'skin' on 3D printed objects, but I know a lot of people see it the other way around. They want it (their printed objects) to to be shiny, or like a plastic product, printing at 0.4 mm to get the 'shiny' skin. That's one way of looking at it, but I turned it around. I heard someone suggest that we should look at it like it was wood. It has unique grains. So show 3D printed lines as the grain. Then you can change your design to make the skin look really lovely. You can just design something and print it to be a copy of something manufactured, or you can design in the language of 3D materials. I've found dealing with the smaller 3D printing companies, you always get an answer. The larger corporations don't answer. Now the communities around these 3D printer companies react, and this feeds-back to the companies themselves. Smaller companies are seeking out answers from the communities that have grown up around their products and services. Did you end up having a technical specification for your brick? That was a bit of a challenge. I usually send people the design, and tell them how I printed it. I tell them to print it themselves, as they choose. Some people will print according to my instructions, and then some people tweak it by printing how they want. A printer from New York told me that the screw attaching each stone to each other would transmit the physical forces of the structure. The whole of projectEGG would weigh 600 kgs and all it has to deal with is its own weight, the majority of which is below the middle line. Some architects are really following this process, as they want to understand how 3D printing would be involved in future constructions. The difficulty engineers have with this structure is that each stone was built using individual layers of material, and the overall stone is not a solid material structure. 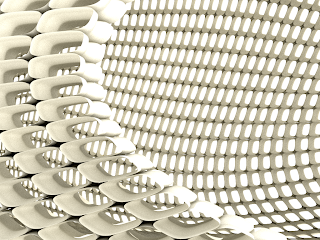 It has a layer by layer construction, so how are the forces working? So ultimately I don't have too many specifications and I see where it leads. Are you getting enough interest in this project? I started the project out on Facebook and I didn't know what would happen. I've been amazed by the social media reaction. Still, I had a few nights where I couldn't sleep when I realised we had to be finished by April. Some groups in North America are interested. Some larger 3D printer firms are interested, but I'm not sure at this moment what sort of collaboration they want. Ultimaker have leant me five printers for the duration of the project to print out more bricks. So between current adopters of stones, individual printers and the sponsors, I'll be able to fulfill the tally. It's been great, as some participants want to bring the stones to me and want to see the build. I've asked people to make a stone and to take a picture of that stone in an interested place, and then to send it back to it's designer. It's so lovely to see the picture and to see the people all over the world taking pictures and taking part. Do you have any 3D printing aims post ProjectEGG? First, I've learnt how to push design aspects out to others. So whatever it is, it will be a co-designed 'thing' as my next step. I could also go for a 3D printed car, but to be honest I haven't made up my mind yet. I do know that I want to stay involved with the 3D printing language. I'm not interested in the technique per se, although I've developed an understanding of the technology now. I actually think a lot of people involved in 3D printing enjoy it when the printer is not working. That's not my cup of tea, but I do want to get involved with where the printer will take us - it's democratising. It helps to connect all kinds of people too, I love that. I love that it's freeing in some way. I like that you make a design, but instead of being paid through sales royalties; it won't work for 3D printing. You don't give away your idea, but you spread it and develop new ways to get paid. I still have other furniture commission, but it's the old world, even though I still love doing it. However the new world really appeals to me. The music industry is an example of where we might go. In the past they would litigate to stop online music distribution. That was until iTunes came along. 3D printing may be moved along the same way. How long do you think it will be before your paid commissions will be for 3D printed items alone? I think it will be sooner rather than later. I've been thinking of ways to commercialise this. I think that maybe someone pays me a one-off fee, then a group of people can print as many of these units you like. So long as they don't open a shop for example. You could end up sending people the .stl and then they spread it. I mean come on, it will definitely end up all over the internet, but you know what? I don't care! It's going to happen, lets work with it. (Editors note: The day of the interview, news of 'Authentise.com' came to light - a proposed method to distribute for a small royalty licenced designs). There is also something else of interest. In terms of recycling, I know some guys who are trying to develop machines where you can recycle your PLA. I'm told it's not as good as you think, but I now collect all my old PLA waiting for that to come true. Then I can say, print what I like, then when you're fed up with it, you recycle it! It's interesting to see how that would change society! 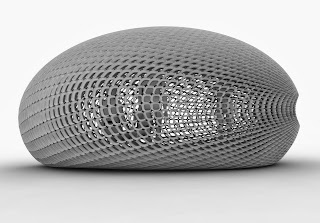 I like "Michiel van der Kley's" work and thinking and encourage everybody, particularly those who are interested in the liberating potential of 3D Printing, to support this project and 'Egg-plore' :-) sorry explore ideas which will very likely identify new forms of prosperity. So have a Happy Christmas and lets make 2014 a prosperous year. Really remarkable 3DPM works. Your all works are caught my attention.Really fantastic !! Thanks for the compliments Michiel - we're really excited to be involved!